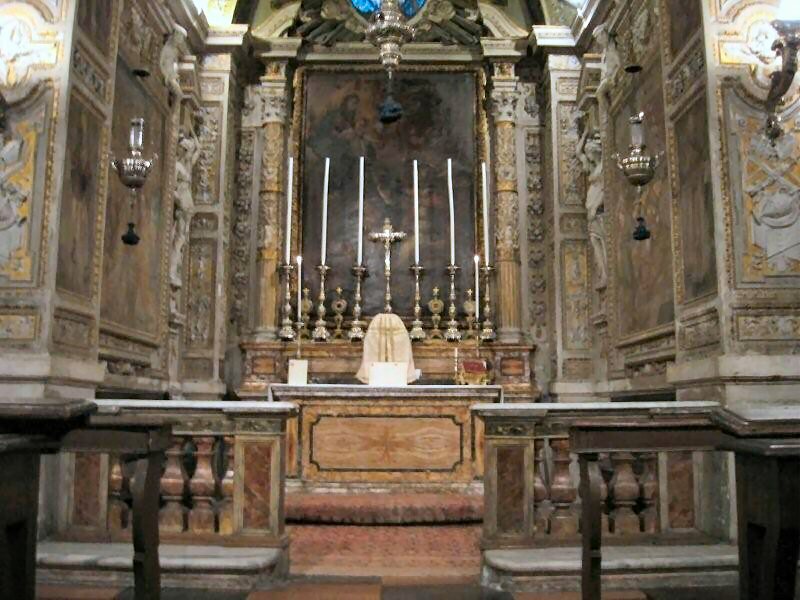 Jim and Jody Agnew's trip to the Church of San Gregorio Dei Muratori, on the Via de Leccosa in Rome October 2007. 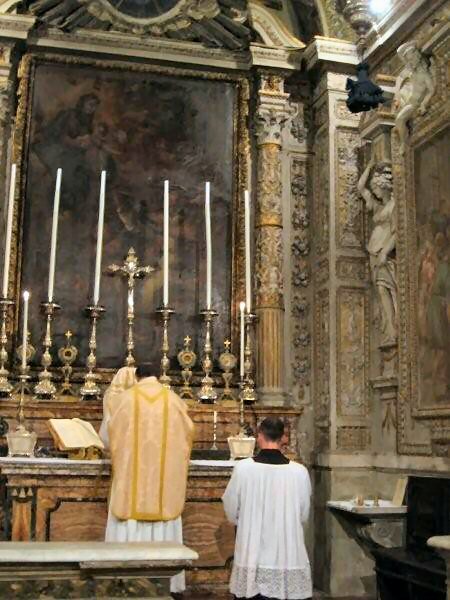 Jim Agnew serving the Tridentine Mass with a Priestly Fraternity of St. Peter (FSSP) priest. 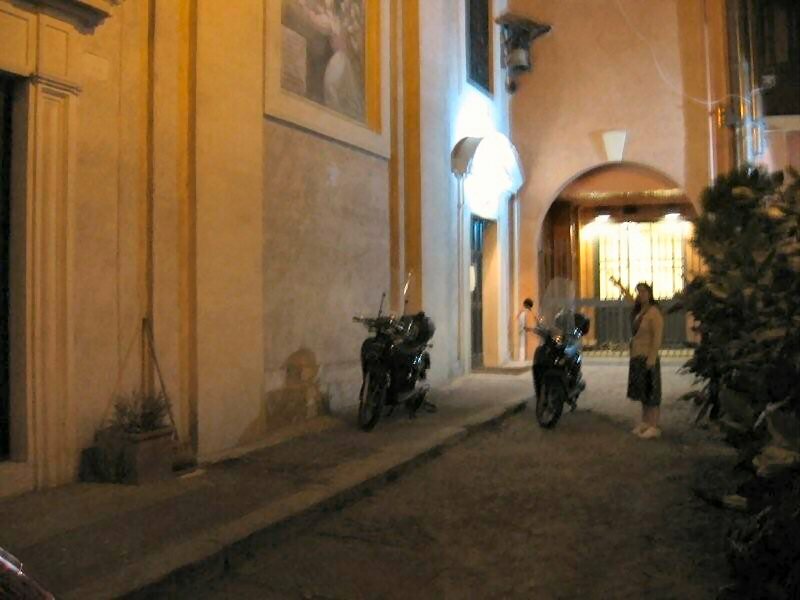 Jody Agnew pointing out the obscure entrance to San Gregorio Dei Muratori. 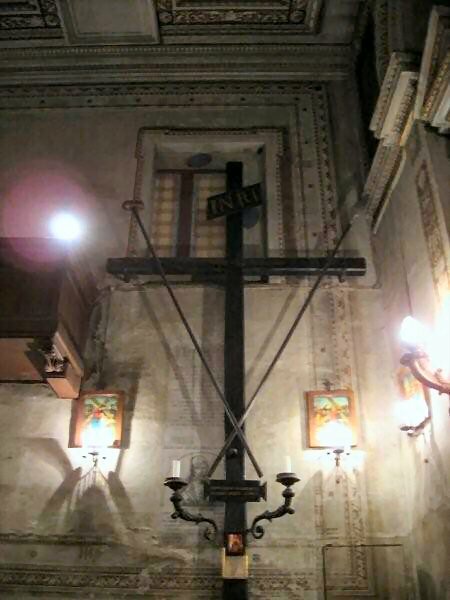 The Cross formerly venerated the Coliseum.